For regular readers, instagram followers, and viewers of the YouTube channel, you're undoubtedly familiar with me racking my brain over which medium format system to get into, and, if you've kept up, you're also familiar with my decision to go with an "old school" medium format body/back combo in the Hasselblad H6D-50c. 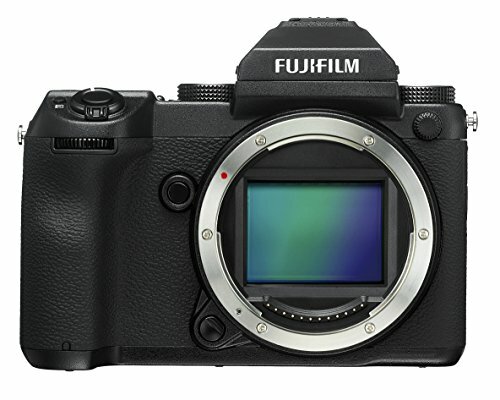 I'm a part of the Fujifilm GFX facebook group where owners and prospective buyers share their photos and experiences, ask questions, and generally support the camera with news, rumors, and other content. Now, I don't regret my decision for a second; I strongly considered the GFX as the system to make my investment in medium format, but ultimately decided that it wasn't the right tool for me at this point in time (check out some of my previous blog posts where I go back and forth between choosing an MFD system, and get a sense of my rationale for not choosing the GFX). Had I decided that the GFX fit my criteria, I certainly would have gotten it. The GFX is the cheapest medium format digital option on the market, new. At $6499 (body only), it's much more within reach of professionals and enthusiasts who are curious about the advantages (and perhaps the disadvantages) of a format larger than the ubiquitous "full frame" 35mm. This means a larger user base, leading to more third-party support, as the segment becomes profitable for companies to enter into. Photo by Nathan Wright from the Fujifilm GFX Facebook group. Photo by Dilokchai UmoAmy Ratanadilokchai from the Fujifilm GFX Facebook group. 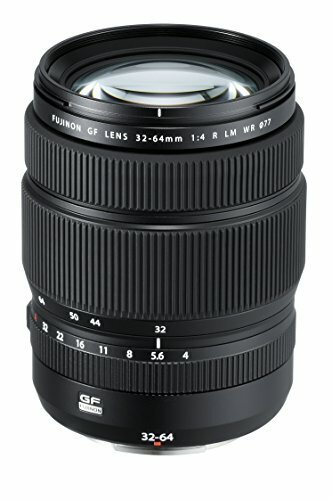 While the focal plane shutter with its 1/125th x-sync is a negative for regular users of flash — especially on location, it has a practical advantage — coupled with the GFX's short flange distance due to being mirrorless, it means a plethora (nearly any) lens can be mounted to it, via an adapter. Sure, you might sometimes miss out on things like aperture control (namely Canon EF glass), but plenty of old, cheap lenses can easily be adapted to the GFX with interesting results. Being able to adapt lenses that one might already own (or can pick up for next to nothing on craigslist or eBay), opens up a world of creative possibilities and more importantly, further reduces the cost of getting into medium format, provided at least some of the lenses you currently own can cover the larger sensor. Photo by 利奥‎ from the Fujifilm GFX facebook group. Photo by Justin Lister‎ from the Fujifilm GFX facebook group. The GFX group now has over 10,000 members; Plenty of photos with different lens combinations, tests with different lighting solutions, or other "workarounds" or "hacks" are shared daily in the group. 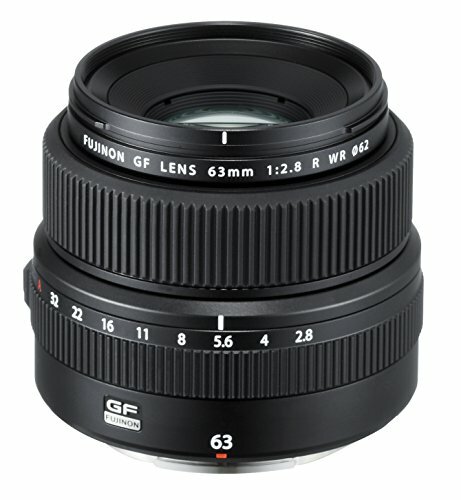 By contrast, there is relatively little information out there on the high-end cameras (one of the goals of this site is to bring to light some more information on the high-end equipment) there are forums and many of them helpful, but not nearly in the numbers I've seen in that group. Now, not all of the members own the camera, but having daily updates and a larger community to draw knowledge from is invaluable. Photo by 陈延瀚 from the Fujifilm GFX facebook group. Photo by Andree V-kids‎ from the Fujifilm GFX facebook group. If you read my upcoming review on the Hasselblad H6D, or if you're familiar with the camera in the first place, you'll know that it's a hefty beast. The GFX is much lighter, smaller, and much more unassuming by comparison, which means you can get it into more places without being questioned or given a second look, as it looks like your run-of-the-mill DSLR. I took a trip to Disneyland recently, and while I did get the Hasselblad with the 80mm and 120mm Macro into the park, I was asked by security if it was a "professional camera" — a smaller camera wouldn't have even garnered a second look. The GFX is about the size of a larger DSLR like a Canon 5D series or a Nikon D810; it looks like something people see on a daily basis, meaning less questions since it doesn't look different (for the record, I was also asked the same question when I brought my 1DX Mark II to the park. So it seems "big" cameras equate to "professional", which is understandable). I didn't have any problems with weight walking quite a bit with the backpack and the Hassy slung over the shoulder, so weight isn't an issue for me — but potentially not being able to take it places and have that great image quality when I want it could be. TrueFocus on the Hasselblad works beautifully; but it does tend to take a bit to confirm — at least on my camera, and I confirmed it at a recent Hasselblad demo day at Samy's Camera where I noticed a friend's H4D seemed to acquire and confirm focus noticeably quicker than my H6D (could be a firmware issue; I don't know for sure, but the H6D is missing some key features that are supposed to be addressed via firmware soon). Initially I felt that focusing on the GFX was slow, but it's actually quite fast in comparison. Certainly not on the level of most DSLRs or even other Fuji X-series cameras, but plenty quick enough. And even though I more often than not focus-recompose — even with the cameras I've owned that have had tons of AF points — having 425 focus points is probably better for placing focus where you want it, especially with medium format where achieving proper focus is a bit more difficult with its inherently shallower depth of field for the same framing due to the larger sensor size. In the end, I'm a tech geek. I love to play and experiment with different things, and the GFX affords me that. It fulfills my curiosity to try different things through the use of third-party adapters or other accessories, and at a price that won't make me even more broke. If I decide to purchase a used one later on down the line, I may not even have to invest in any GF glass with all the great adapter options out there, and just utilize my current lens collection, or buy cheap old lenses and slap 'em on — because it will be my "toy" camera to fiddle with, I won't care too much about ultimate image quality. The Hasselblad or the 1DX Mark II will still be the ones I'll pick up for most jobs.